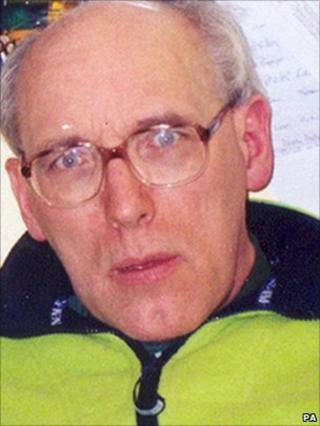 A champion for the oppressed, Giles Hart received one of Poland's highest honours following his death in the Tavistock Square bomb blast on 7 July 2005. The 55-year-old British Telecom engineer from Hornchurch, Essex, was posthumously granted the Knights Cross of the Order of Merit of the Republic of Poland, for his services to democracy. This was in recognition of his tireless work with Solidarity, which helped to end the communist movement in Poland. But the Polish struggle was not Mr Hart's only focus, having also been prominent in the Havering Humanist Society and the Anti-Slavery Society. Mr Hart was on his way to work in Islington when the number 30 bus he was travelling on was ripped apart in Tavistock Square. He left behind his Polish wife Danuta, daughter Maryla, then 21, and son Martin, then 17. At his inquest, Maryla Hart's statement said: "Giles was a devoted father and husband who greatly valued time spent with his family. "Giles was an honest, principled person. He believed in justice, liberty and freedom and hated oppression, fundamentalism and totalitarianism." Born in Khartoum, Sudan, in 1949 to English parents, Giles grew up in a loving, intellectual and musical home. With his older sister, Erica, the family would form a violin quartet, igniting his love of classical music. He also enjoyed jazz and ragtime. At five, Giles moved to the UK with his family, attending Woodhouse Grammar in north London before studying maths at Royal Holloway, University of London. In 1971 he entered the civil service, then from 1989 worked for British Telecom, but it was outside work that his main interests lay. Throughout the 1980s, Mr Hart was a prominent supporter of Solidarity, especially when Poland was under martial law. For 37 years, he served as secretary and chairman of the Polish Solidarity Campaign (PSC), the main group in Britain supporting the Solidarity movement. He also founded the Polish Refugee Rights Group, which helped Poles fleeing martial law in Poland settle in Britain. And he remained highly active in the Solidarity movement until its final days before communism gave way to democratic rule in Poland in 1989. At the inquest into his death, fellow activist Wiktor Moszczynski was quoted as saying: "At each PSC demonstration, his bearded face could be seen behind the platform flogging Solidarity memorabilia and publications. "Giles stood out as the voice of the non-politicised rank-and-file British sympathisers who had earned the respect and trust of the often bemused Polish members. "He was a crucial ingredient in the glue that kept the organisation together." Films were another passion and as chairman of the HG Wells Society, Mr Hart had introduced two of his films during a special season at the National Film Theatre. Since his death, 15 trees have been planted by Havering green groups in Giles' memory and the Giles Hart Memorial Committee, set up by fellow Solidarity activists, has laid a memorial stone in Ravenscourt Park, west London. The granite slab is inscribed with Mahatma Gandhi's quote: "Be the change you want to see in the world."